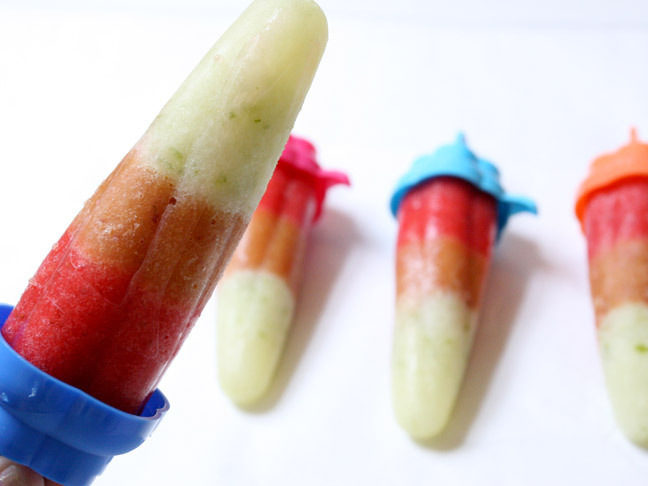 Nothing is more refreshing than a DIY fruit popsicle, especially when it’s your own fresh fruit! This fun layering of flavors is a real treat to your mouth and pretty to look at as well. 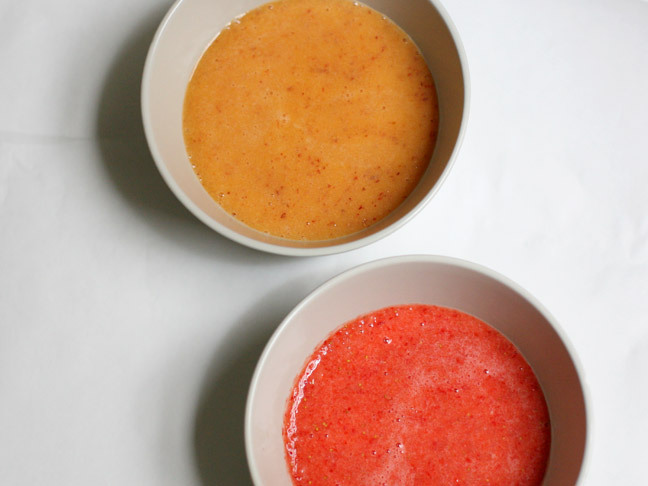 It’s as simple as blending up fruit you already have in your fridge. A fresh fruit popsicle is fun year round. It’s fun to try different combinations depending on what fruit is in season. Even canned fruit like pineapple would be delicious! The possibilities are endless. It’s fun to experiment and find what flavors and favorites your family has; and you can’t beat those pretty colorful layers! Fresh fruit. About a cup for each layer you intend to make. 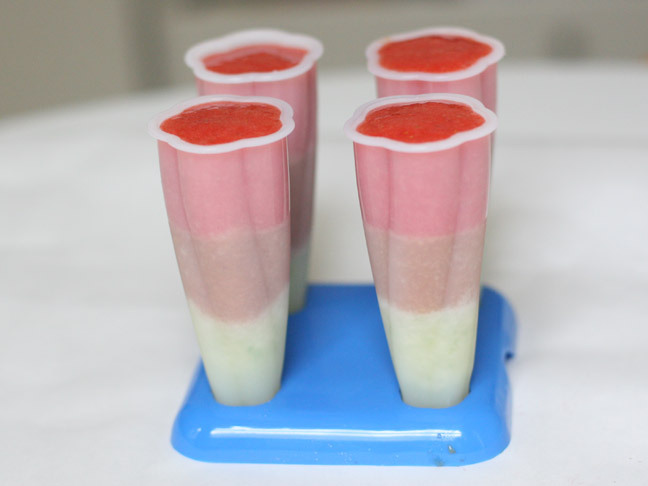 Popsicle mold. You can also use a plastic cup and a wooden stick (stick it in halfway through freezing so it stays put). 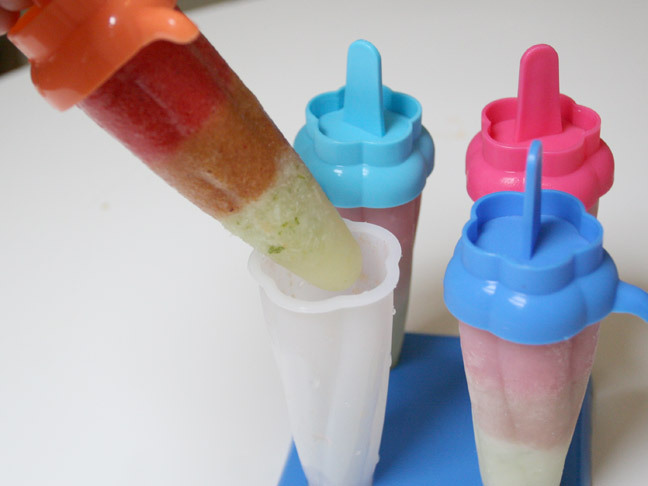 The fruit we used in our popsicles were limes, peaches, and strawberries. Start with one fruit at a time. 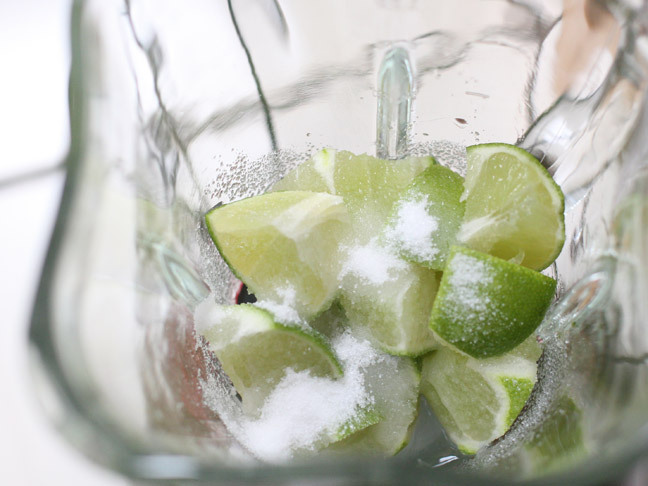 Cut it into chunks and place it in the blender with at least a tablespoon of sugar and about two tablespoons of water. After blending it smooth, taste it for sweetness. 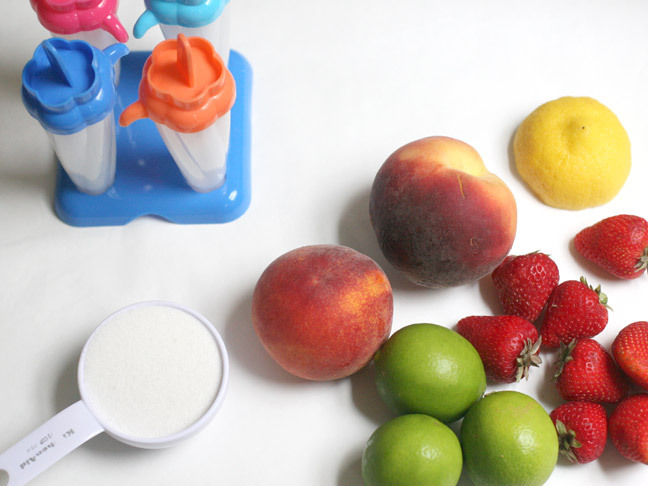 Depending on the ripeness and what fruit you choose, the sugar amount can vary greatly. For example, for the lime layer I added almost half a cup of sugar, the peach about a quarter of a cup (it wasn’t a very sweet peach), and the strawberries only about two tablespoons of sugar was needed. 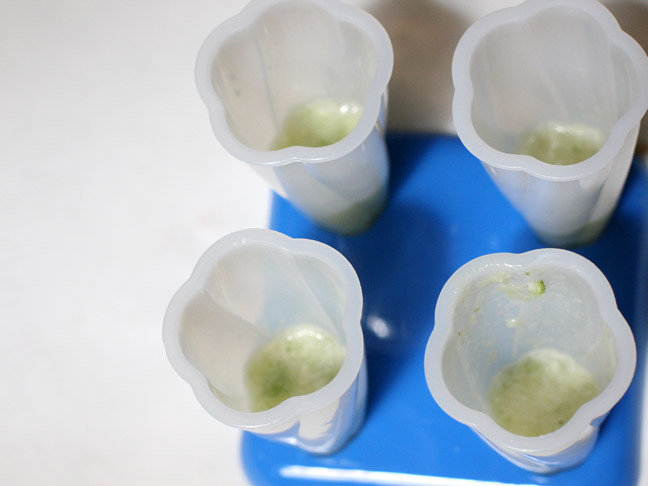 Pour the first layer into the popsicle mold and stick in into the freezer for at least 20 minutes or until mostly solid. While you’re waiting, can you get the other fresh fruit layers blended up and ready to add. After you’ve added all your layers, let it freeze for at least 8 hours to harden completely. To remove, run a little bit of hot water around the mold and pop out your fresh frozen treat!